This event is commemorated annually on the 17th November, the day on which the Virgen de la Purísima is reputed to have saved the town of Mazarrón from Berber Pirate attack, and on the following Sunday the Romería de Bolnuevo, or Romería del Milagro takes place, the image of the Virgen being carried from Mazarrón, to her sanctuary in Bolnuevo. Southern Spain had been occupied by the Moors in the early 8th century, 713 being the popularly accepted date for the invasion of southern Spain and the Moors gradually spread across lower Spain, where they remained dominant until the middle of the 13th century when most of Spain was reconquered by the Christian forces of the reconquist forcing the Moors back into the Kingdom of Granada. In 1492 the final expulsion took place and tens of thousands of Muslims who refused to convert to Christianity were expelled, many becoming pirates to attack the coast they had once owned and lost. The cardplayers leapt to their feet, one man shouting out in frustration that he had 14 horses, a term that apparently was significant to the card players, but which lead the muslim invaders to assume that a mounted force had anticipated their attack and that 14 horsemen awaited them , intent on slaughter, so rushed back to the beach. Stage 2 occurred when the scouting party approached the village, creeping up as men sat outside playing cards. Miraculously as they played, the evening bells rang out, announcing the sunset and fall of night, but for a reason no-one has ever managed to explain, that night the wrong bell rope was pulled and the alarm signal rang, alerting the town to the approach of pirates. This is well documented, the watchtowers of the Torre de los Caballos and the Torre de la Cala del Moro Santo just part of a chain of lookout points along the regional coast to warn of attack. The Miracle of La Purísima, took place in Mazarrón on 17th November 1585, at the end of the sixteenth century. 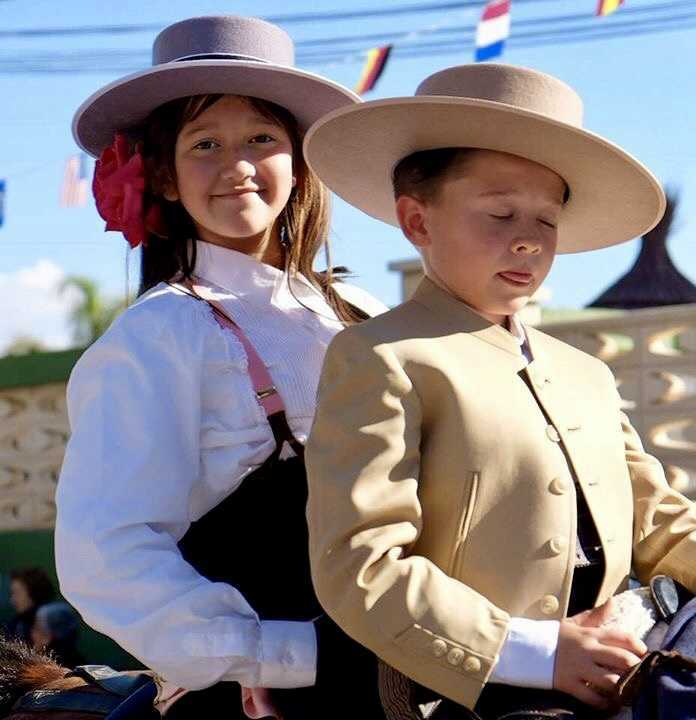 In 1585, at this point in its history, Mazarrón was a mining town , its residents working in the mines, farming the surrounding fields, in the salt salinas, or working in the fishing industry. On the 17th November 1585 Berber pirates sailed into the coast to attack Mazarrón. The expedition was headed by the famous pirate Morato Arraez , legendary across the Region for his incursions and attacks. This same man is the centre of the Berbers Fiestas which take place in Los Alcázares each year. On board his ship was a man called Mami, who had once worked in Mazarron, but was now working as a servant to the pirate. Legend says that the first step of the miracle of the Virgin of the Purisima was his intervention, his act of persuading the Captain to hold back from a full attack, and send out a scouting party, because of the good treatment he had received when working in Mazarron. One document relates that in May of 1573 the fishing boats were stolen and in December of the same year 25 boats are recorded as having menaced the coast, all the townspeople hiding in caves were found and taken away. Many testified to having seen this miraculous event, and this was borne out years later when white flowers mysteriously bloomed on the beach, announcing to all that there had indeed been a miracle in Bolnuevo. Each year the Virgen is carried from her hermitage into Mazarron, then returned in triumph to Bolnuevo. 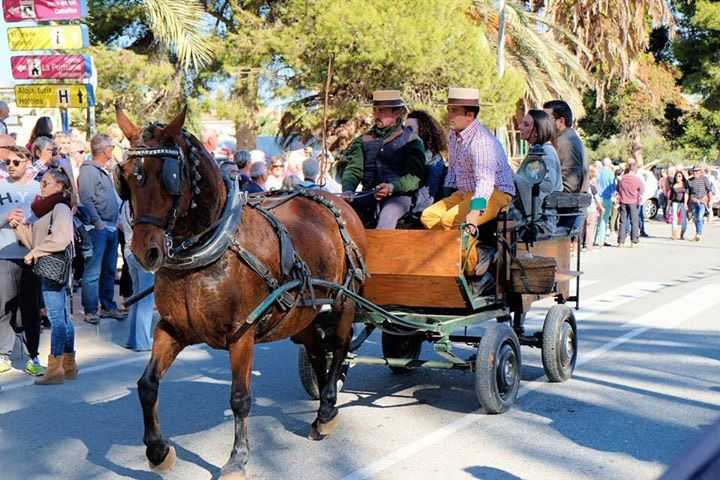 It´s an extremely popular Romeria for both Spanish and ex-pats alike, thousands gathering on the beach following the Romeria to enjoy a barbeque and relaxing afternoon. 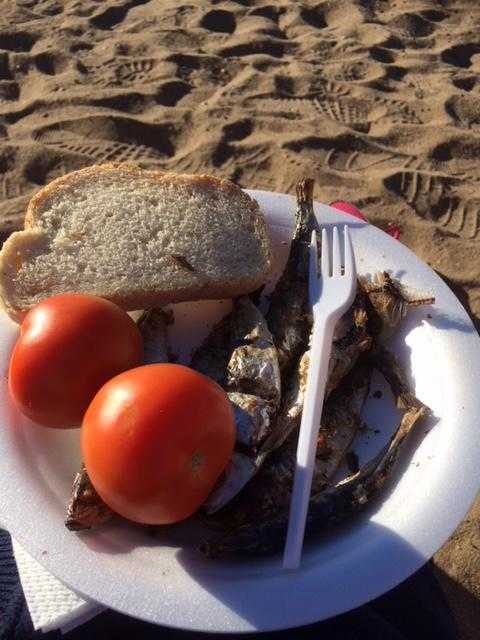 Following her arrival, thousands of people head to the beach at Bolnuevo, set up camp and celebrate with food and barbeques, the council traditionally offering barbeque sardines to those attending, hence its popular name in the ex-pat community, the Bolnuevo Sardine Festival. These pirates were based in Africa, and this whole coastline was subject to frequent attack, the pirates carrying off villagers to ransom or sell in the slave markets, livestock and anything which could be sold, including crops. 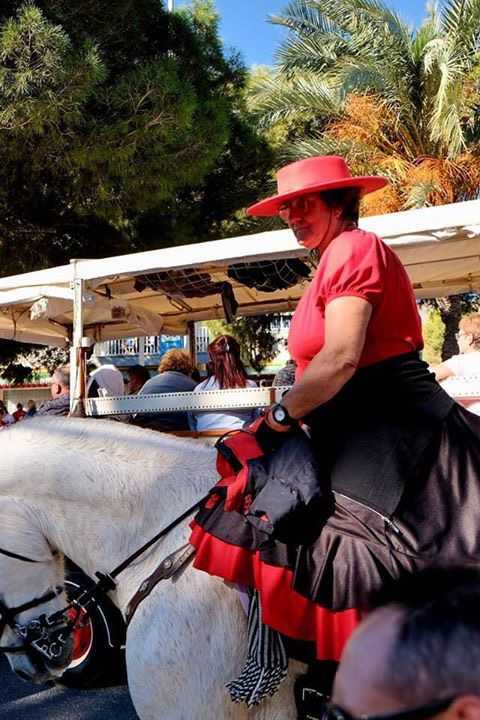 This is the second part of the Romería, the subida, in which the image is carried from Bolnuevo into Mazarrón, taking place a week earlier. In 1585, the event known as the Miracle of Mazarrón took place.